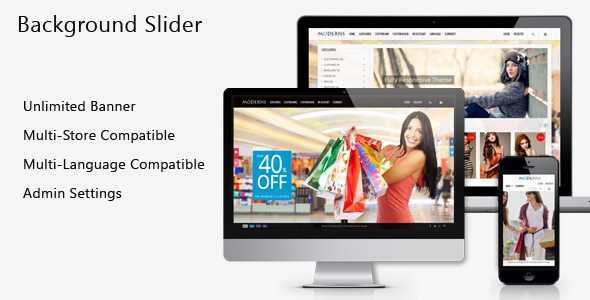 Upload Custom Background and Fully Compatible with Multi-Store and Multi-Language. Note : The images are for demonstration purposes only and are not included in the package. This Module supports Prestashop v1.6 as there are NO modifications in core files. If you like our Module please do not forget to rate it with stars in your Downloads section and write a review in Comments! Thank you! Next Post: MTStudio Responsive Bigcommerce Theme!